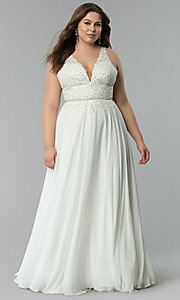 In beautiful billowing chiffon, this elegant plus-size prom dress gives off a romantic vibe. 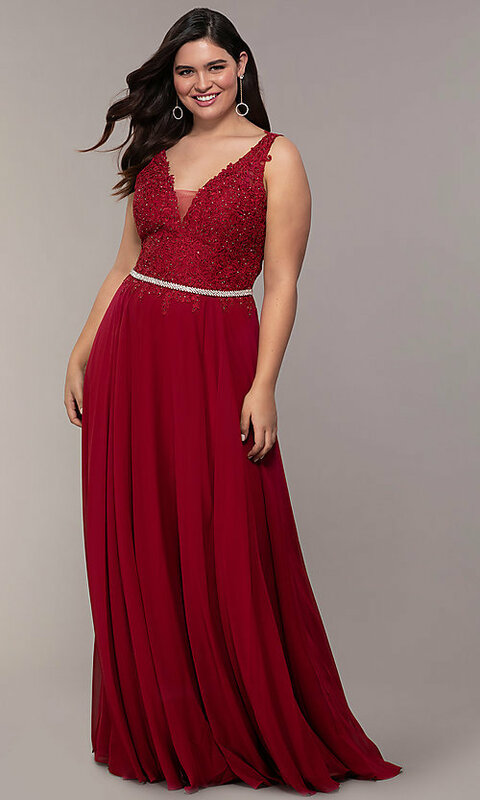 Gorgeous for black-tie formal events, the lovely evening dress features richly embroidered-lace applique on the beaded bodice. 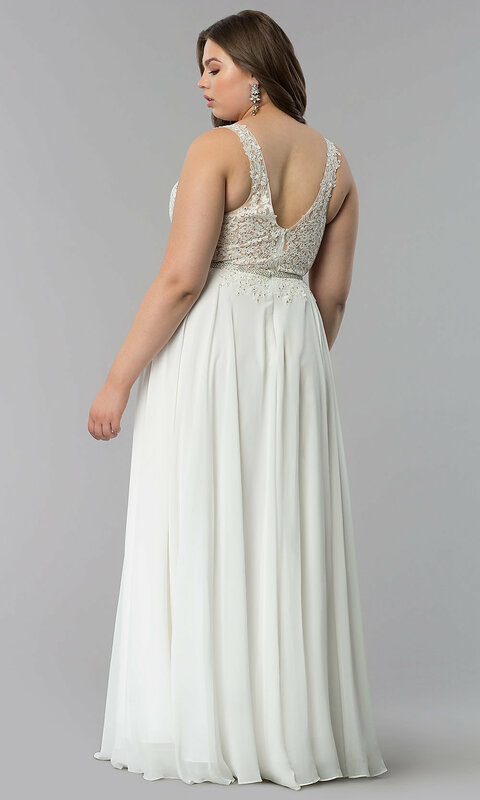 A sheer inset helps to stabilize the deep v-neckline, while illusion straps climb the shoulders and beautifully frame the deep v-back detail. A sparkling rhinestone belt defines the natural waistline and is fully removable to provide a changeable look on the sumptuous formal dress. Fully-lined, the fabulous chiffon skirt flares away from the hips before cascading down to an elegant floor length. 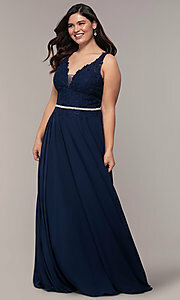 Under $200, this affordable plus-size prom dress is a refined option that is sure to catch the eye in shimmering figure-flattering style.